Three ballads. 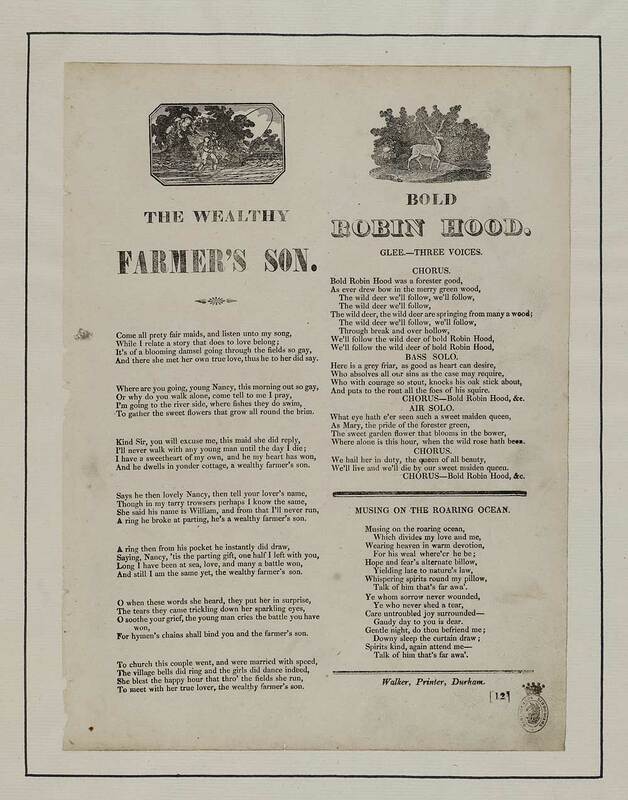 The wealthy farmer's son - first line reads: Come all prety [sic] fair maids, and listen unto my song. Bold Robin Hood - first line reads: Bold Robin Hood was a forester good. Musing on the roaring ocean - first line reads: Musing on the roaring ocean. Bold Robin Hood: Glee. - Three voices.